Cold calling – it can be a very daunting prospect for many people, you can feel a bit like a pest when contacting an employer who hasn’t advertised a job opening, but cold calling can be a great way to make contact with employers enabling you to tap into the hidden job market. #1 – Find the companies you WANT to work for. Take time to research the companies or fields you would like to work in – or for. Chose companies based not just on the industry or field just because it suits your personality and goals, but choose companies that can offer both training and career advancement, one that will also appreciate your skills and abilities. Write out a little script and practice it over and over, remember it’s better if you speak confidently and naturally over the phone rather than reading it out. Remember to breathe and use punctuation, don’t blurt it out as one long sentence, you want to sound warm and friendly, but still confident and driven. When you call, before launching forth with your *script* ask first if it is convenient for them to talk now, if not, ask if you can arrange a time to call back later. If they do have time to talk to you explain that you are interested in any career opportunities with their company, give them a brief overview of your background and goals. Remember to keep it short – as they weren’t expecting your call and have agreed to talk to you now they may still not want a lot of their time taken up unexpectedly. Perhaps ask if you can make an appointment to come in and speak with someone in person. Send in a follow up e-mail with your cover letter and resume, and thank the person again for taking the time to talk to you, again keep your e-mail short and to the point. With some luck your call and resume may result in you being granted an appointment with someone. This face to face meeting will give you the chance to describe your strengths, skills, achievements and professional background, why you would like to work for them and how hiring you can benefit their company. Try not to get discouraged if the cold call doesn’t seem to lead anywhere. The most important thing is you have made contact and that might come in handy one day, cold calling is about expanding your network and establishing relationships. Has cold calling worked for you? Have you tried it before? Are you thinking of trying it now? 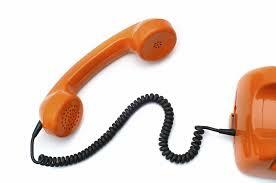 We’d love to know if and how cold calling has worked for you.